What is the procedure to write an offer and close? 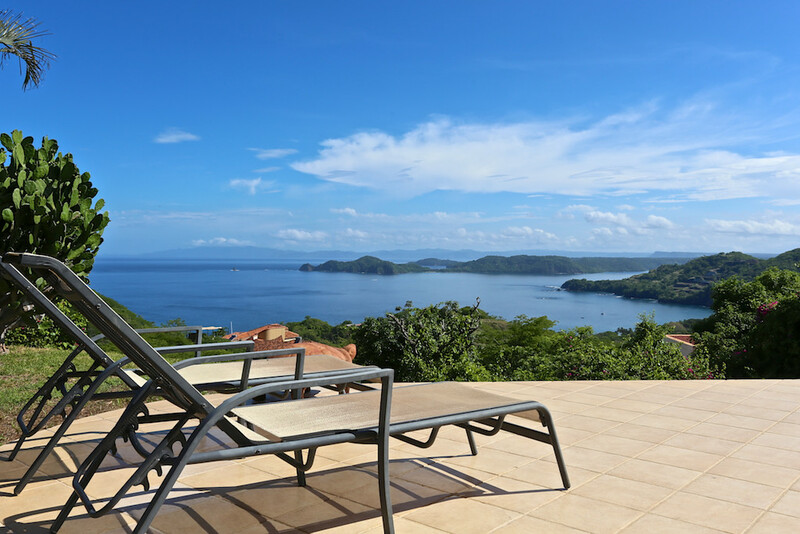 Purchasing a property in Costa Rica is about as easy as it can get. Under CR law a foreigner has the same rights as a citizen, and can own property outright, fully titled, fee simple, just like in the USA or Canada. The majority of the property in Costa Rica is titled. The only exception to this is some of the beach front property which is called concession and is similar to a lease. I discuss this in another blog. You can own a property using the same vehicles as in North America. You can put it in your personal name, into a CR Corporation, you can use a trust or a foundation, a self directed IRA or a non profit organization and you can will it to your children or your heirs. All of this can be easily set up by a reputable Costa Rican law firm. Unlike North America, our offers are very simple and straight forward. Most of the time, they are 3 or 4 pages long. None of these are 20 page documents like when you buy a house in the USA. They are more like term sheets than long formal offers. The first page generally details the owner’s info, the seller’s info, the property info and the purchase price. Page 2 is your due diligent page, contingencies, closing date, fees, and arbitration clauses and items included or excluded in the sale. The last page is the signature page. A faxed or scanned offer is a legal document in Costa Rica, so you don’t have to be here to sign the original. We can send you the offer by email after you get home and you can sign it and send it back once all your questions are satisfied. We are not here to pressure you to buy. This is a big decision and we want to give you all the time necessary to make sure this is exactly what you want to do. Go home, talk it over, check your finances and THEN write the offer. Don’t let anyone tell you that you have to buy this NOW. I have always been a firm believer that if it is meant to happen, it will. Upon acceptance of an offer, a secure escrow account is set up with a company that is registered with the banking authority of Costa Rica, known as SUGEF. They will act as a third party to insure that everyone is protected during the closing. Do not allow a law firm or a real estate company to accept or handle your money. ALWAYS ask for a separate, secured, registered escrow. –>What is required to open an Escrow Account? A deposit of 5 to 10% is placed in the escrow account as Good Faith. This deposit is normally completely refundable during the due diligence process. The Due Diligence period usually lasts anywhere from 14 to 21 days giving the attorney time to confirm that everything is OK with the property. They will do a full title search in the National Registry, confirming that the property is free and clear of all mortgages, annotations, liens and encumbrances. They will also make sure that all Municipal, National and Corporate taxes are paid up to the date of the closing and that any Homeowners fees and all utilities and service contracts are also current at time of closing. They will also send you the Estimated Acquisition Costs so you know exactly what the closing costs will be. During the DD period, we can also order a home inspection if you so choose and any land surveys or engineering work, as well as getting quotes for construction, renovations, repairs, landscaping or furniture / interior decorating. There are many qualified professionals here in the area that can assist us with these matters. Anytime during the DD period, the buyer has the option to cancel the contract and get their deposit back with No penalty. At the end of the Due Diligence period, assuming there are no issues with the property, the deposit becomes Non refundable and stays in escrow until time of closing, to be applied towards the purchase price. Most closings in Costa Rica are anywhere from 30 to 60 days after the date of the offer. A few days prior to the closing, the balance of the purchase price and all the closing costs (minus the deposit) will be wired to the escrow account. The third party escrow will make sure that everyone is paid at closing, after all the proper documents are signed and delivered to the National Registry. This ensures and secures everyone involved in the transaction: The seller, the buyer, the agent and the attorney. Generally $1,000 is held back from the seller for a period of 30 days to ensure that any and all utility bills that are the responsibility of the seller are paid so that the new buyer does not inherit last months electric bill or cable TV bill. Upon the successful closing, the attorney will send you copies of all the closing documents, translated into English, as all legal documents in Costa Rica are in Spanish obviously. The actual deeds themselves have a lot more technical language in them than the purchase offer as they are the final document that will be presented to the National Registry to confirm ownership. The buyer and seller do NOT need to be present at the closing. The law firms can be given the ability, using a Special Power of Attorney granted by the buyer or seller, to represent you at closing and close on your behalf. There is a small fee to draw up the Special Power of Attorney but it is usually substantially less than an airline ticket. Recently a new law has been introduced to help reduce the potential for money laundering in Costa Rica. Every buyer must sign an affidavit that states the money came from legitimate sources. It must be signed in person in front of a Costa Rican notary. It is preferred that this is signed at the time of closing. But obviously, not everyone can attend the closing. So you must be prepared to visit Costa Rica, or a Costa Rican consulate in the USA or Canada, within a reasonable time period after the closing; preferably 30 days. Many times though, the buyers choose to be here for closing, so that they can go out with me afterwards and CELEBRATE. You are now the proud owner of a little piece of paradise. Welcome to Pura Vida. Congratulations!!!!! !